Almost everyone agrees that pension’s freedoms are a “good thing”. But how (and when) is the market going to respond to the opportunity… and what do customers actually want? New research on the most affluent retirees has shed some interesting light on the problem. So 6 April has come and gone without the sky falling in – rather like 1 January 2000 when all our computers neglected to crash. But there are still plenty of aftershocks likely following the introduction of Pensions Freedom, not least because the market has been unable to prepare itself in the 12-month window since the announcement. Pension providers themselves have seen a doubling in enquiries, and (in the absence of a developed market) there are widespread concerns that those anxious to get their hands on their money (perhaps to clear debts) will fall prey to fraudsters. One political party has already seized upon the issue and made it a manifesto pledge to ban cold calling on pensions. Will others follow? But there was some reassuring news in the research: those newly retired and pre-retirees with larger pension pots (average £1.5 million) are taking a more relaxed view – and not only as to when they tap into their pension funds. For starters, it’s a firm farewell to the old “cliff edge” concept of retirement: amongst pre-retirees, only 4% do not plan to work at all after they reach retirement age. The rest will keep their hand in on a part time basis at the very least. While 84% believe the new pensions freedoms are a “good idea”, 71% have no plans to take advantage of them, almost as many (65%) said they do not plan to sell their existing annuity, and 72% are not concerned about the lowering of the Lifetime Allowance. When they do eventually withdraw part of their pension fund as a lump sum, only 12.8% plan to use some of their funds to buy an annuity. However, they do intend spendingsome of their available pensions cash: 61% plan to spend it on large items such as a new kitchen, a cruise or new car. Almost a quarter (23%) plan to reinvest in residential property, while 38% will either fully or part repay their mortgage. The Pensions Minister famously received some overblown headlines about being relaxed about retirees blowing their pension pot – but just how relaxed should the retirees themselves be? After all, all the evidence is that many of us will still be relying on our nest eggs well into our 80s and possibly our 90s and beyond. While there is no doubt that those with average pension pots (around £30 – 40,000) will struggle to get by, the picture we are picking up amongst the better heeled is one of extreme caution. While the average subscriber has an annual income of £68,555 they anticipate retiring on £43,000 pa after tax, mortgage and other debt payments. Yet they could, maintaining their existing revenue sources, actually afford to be drawing out just a few pounds shy of their current income: £68,467. A large part of this will be made-up of the £23,590 they plan to earn on average from part-time work and a further approximate drawdown of £22,980 from their SIPP/ SASS (12,210 tax-free, £10,770 taxable). 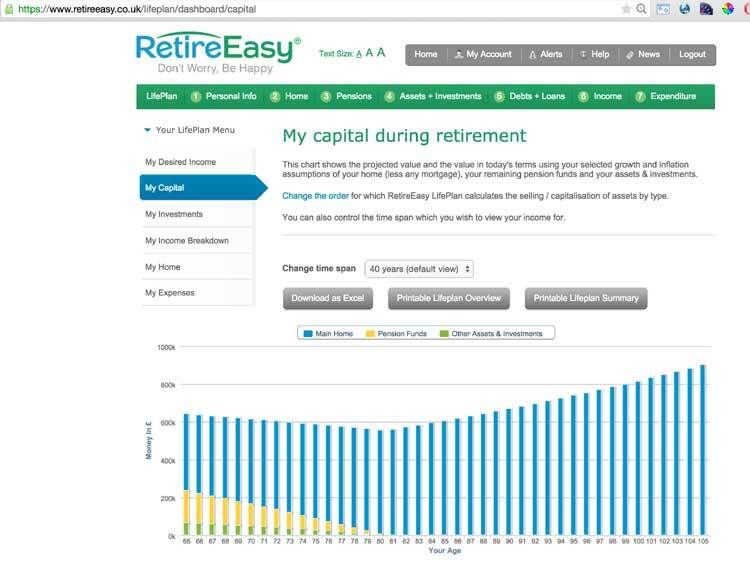 Of the minority (12.8%) who plan to buy an annuity, they expect this to provide an annual income of £7,305. If they really wanted to push the boat out, they could add around an additional £9,000 a year simply by downsizing.Moreover, while only one in ten is anticipating ever going into a care home, those that do are allowing a sensible amount to cover their costs: just over £44,000 a year, which would buy an above average quality stay anywhere in the UK. Do the maths, and the prospect for some is that they will actually end up owning more at death than they do at retirement. So what does this say about wealthier retirees and, equally importantly, those that advise them?For one, it’s actually very hard for anyone – even a seasoned IFA – to work out exactly how the finances of an individual or even a couple will fare 20, 30 or 40 years down the line: there are simply too many factors to take into account. And the end result of that is that many will run the risk of scrimping during their 60s and 70s, when they may well have the good health to enjoy the things they saved up for: the long haul holidays or time with their grandchildren. Some may carry on working well beyond when they could actually afford to stop. If there is a moral to this tale, perhaps it’s this: either the new pensions freedom should lead to simplifying and clarifying our future incomes, and/or advisors and providers should go beyond their current role making sure their clients can enjoy a comfortable lifestyle in retirement. They should help them see exactly what they can expect to live on comfortably for every year for the rest of their lives – and without breaking the bank. What price pensions freedom if you don’t feel free to live the rest of your life as you’d really love to do? Using correct financial planning I do not see why anyone will be worse off under the new rules since it brings additional flexibility and, therefore, there is no additional risk of people “scrimping during their 60s and 70s”. It could, however, easily apply to those who try to manage their finances themselves, though that’s their decision. The level of income withdrawal can be set according to an individual’s circumstance. For the completely risk adverse there is nothing stopping them from buying an index linked annuity (income for life that rises with living costs). For those who keep their money invested the level of income can be altered on an ongoing basis so that those who took a little too much to begin with can dial the amount back and vise-versa. I am further surprised of the mention that finances of an individual cannot be calculated 20, 30 or 40 years into the future. 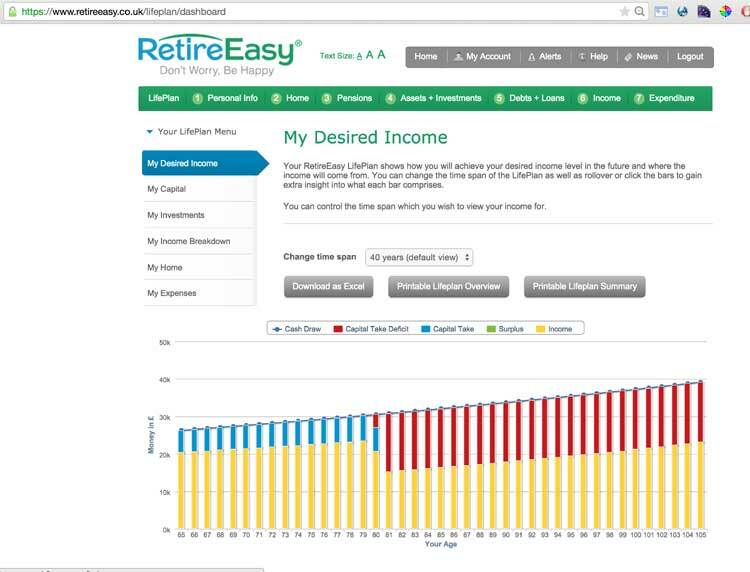 Firstly, it can and secondly, surely this statement runs contrary to the website promoted since it uses a retirement calculator? The important factor is that people continue to review their finances on a regular basis, at least once a year, and seek professional help where required. This way the estimates used can be replaced with real figures as time goes by with the necessary modifications made to a person’s financial plan. We provide the necessary information to allow our clients to enjoy a comfortable lifestyle on retirement as well as clarifying their future income. Although we only help UK pension holding expatriates I cannot see any reason why any decent UK financial advisory firm would not also provide these figures. The “moral of the tale” appears misguided since it is already here.